The Westcott Apollo 28″ softbox is a good size for travel and it’s quick to set up thanks to it’s umbrella-like folding design. It will fit on almost any strobe and the light it emits is soft and beautiful. I‘m going to begin my series of product reviews with the Westcott Apollo 28″ Softbox. There are plenty of other in-depth reviews of this softbox, but like most of my upcoming product reviews, I’m going to review it from the point of view of a Canadian photographer who works predominately on location (e.g. weddings and on-location headshots) and travels with his gear. So what’s unique about being a Canadian photographer that warrants a special type of review? First off, it’s expensive to buy photo gear in Canada. Us Canucks drool at the low prices our friendly neighbors to the south enjoy, and those tasty store rebates that we almost never get to have. What this means for Canadians is that we have to be super careful about into what type of gear we invest our hard earned dollars. We pay an arm and a leg for shipping, duties, taxes, and it’s not so easy to ask for a refund for items that don’t work for us. Second, there a lot of gear out there that isn’t warrantied in Canada. Some of the gear we buy in the US (often because it’s not available here or too expensive) have USA-only warranties. So any such gear has got to be top-notch. Third, like the warranty issue, some gear isn’t serviced in Canada, or if it is, you’ll need to pawn a limb to pay for the service. For these reasons, and many others, I’ll be looking at camera gear from a Canadian perspective and will provide info about durability and the real costs of ownership. Ok, on to the Westcott Apollo review. I purchased my Westcott Apollo from B&H last spring (2011). I bought it after doing some extensive online research, looking at YouTube videos and watching the photo guys from Lighten Up and Shoot – they seem to be big advocates of the Apollo soft boxes, and the type of shooting I do is a lot like what they do – I decided to take the plunge and invest in a portable soft box for my Canon 580EX II units and my White Lightning strobes. They’re portable and somewhat durable enough for travel. I just did a trip to Calgary where I had to check in my 28″ Apollo in an un-padded lighting bag along with my Manfrotto light stands at YVR and YYC . I made sure the bag went with the fragile luggage and was pleased to find out that the Apollo made it there and back with no problems. The rest of the time, I transport them in the back of my SUV without a bag and sometimes even under some heavy bags, and they hold up fine. Now if you want to “beef up” the ribs of the Apollo, you can check out Mike’s video on how to do that with zip ties. It gives off good light. Apollos are no Elinchrom Lightbank Octa or Mola Beauty dishes, but they do give off good light for a portable softbox. Much of that has to do with the fact that the strobe is bouncing light off the back of the softbox, thereby diffusing the light before it even leaves the front baffle. 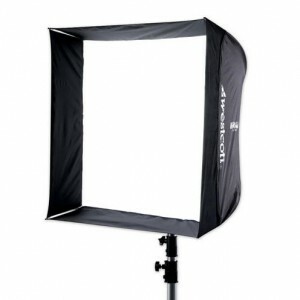 Most of the headshot photos on my site were shot with the 28″ or 50″ Apollo soft boxes. I especially like the recessed front, which helps to minimize light spill. Without it, I would need to add a flag in some cases, which means more gear to bring and more time setting up and less time actually shooting. It’s compatible with almost any flash strobe.I started with Hensel and Elinchrom units and had to buy two identical softboxes for use with these units. Then when I moved to White Lightning, I had to buy modifiers or get rid of those softboxes because they wouldn’t fit on the Paul C. Buff units. As a Canadian who is tired of paying expensive shipping and duty on everything, I want to keep my purchasing costs down and the Apollos are a good option to help me do that. Because they are umbrella mounts, the 28″ unit will fit almost any strobe unit. Even the newer Elinchrom units. If it has an umbrella slot, it will likely fit. This means that I can go from my White Lightnings to Elinchroms to Canon speedlights with no compatibility issues. They’re price right. Who wants to spend a lot on portable soft boxes anyway? Especially since I don’t know of anyone in Vancouver who fixes broken photo umbrellas or softboxes. Once they do, I say they’re trash – if you know of anyone who can fix these for a good price, do let me know. For about $129 USD, you get a very good portable umbrella style softbox. If you look on Ebay, there are some Chinese knock-offs that resemble Apollos, but you get what you pay for – really. I’ve had my share of poorly-made Chinese knock-off photo equipment and I’m not going back there any time soon. You’ll just have to believe me on this. Westcott is an excellent brand and they make good stuff; pay a little more and you’ll have fewer panic attacks when you’re working. You’ve likely heard that the biggest complaint is the tilt issue with the Apollos. I must admit that it’s a big issue. There are many home-made solutions online to solve this, as well as adapters you can buy from Westcott and Alien Bees, etc. as a work-around, but my solution has been to use a swivel umbrella adapter and a light stand with a boom arm. I use a Manfrotto 420B Combi Boom Stand and an Impact umbrella bracket, but there are many types out there and just about any swivel-types will work just fine. This solution adds a bit of bulk to my travel bag, but it’s not so much that I’m complaining. The overall build and quality is a B+. I can’t give it an A or A+ because of the few loose threads I see on the velcro of the front diffuser and because of the fact that you’ll want to take Mike’s advice and “beef up” the softbox with zip ties. This softbox feels like an umbrella. Perhaps a litter stiffer than a typical umbrella, but it’s nowhere as rigid as a professional studio softbox, nor is the outer material rugged in any way (in fact, the Wescott lettering on mine is already beginning to rub off and one fall on a windy day and I think the ribs are toast). But for this type of softbox, you can’t expect it to be heavy or too bulky. The point of this softbox is to be a light and portable unit you can take almost anywhere. The real problem with the Apollo is the fact that you can’t reach the controls once you’ve velcro’d the front diffuser. Each an every time you want to make a setting change (presuming you’re on manual mode) you need to open up that front diffuser to reach the controls. This is a real headache. There are workarounds for this problem too, but I haven’t tried any of them, so I won’t comment here. If you’re looking for an excuse not to buy this soft box, not being able to reach your controls easily would be it. Over the past year, I’ve used the Apollo 28″ softbox for just about every type of portrait shoot I can think of. I’ve used it at weddings, indoors, outdoors in poor weather, I’ve checked them in at the airport, and I’ve piled things on top of it in the back of my SUV. So far, it’s stood up to all the abuse, minus a loose thread here or there. For a $129 USD (+ local taxes, shipping, exchange, and duty, it’s closer to $160 CAD), it’s a good investment if you do a lot of on-location shooting like I do. The Westcott Apollo 28″ softbox is a good size for travel and it’s quick to set up thanks to it’s umbrella-like folding design. It will fit on almost any strobe and the light it emits is soft and beautiful. There aren’t many other competitors out there that make a similar square soft box for this price point, so if you want some to help you make up your mind, I say GO FOR IT!